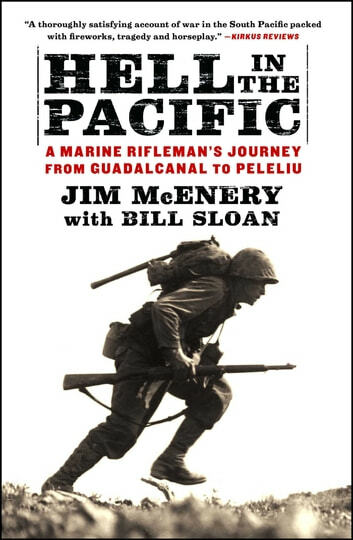 In what may be the last memoir to be published by a living veteran of the pivotal invasion of Guadalcanal, which occurred almost seventy years ago, Marine Jim McEnery has teamed up with author Bill Sloan to create an unforgettable chronicle of heroism and horror. McENERY’S RIFLE COMPANY—the legendary K/3/5 of the First Marine Division, made famous by the HBO miniseries The Pacific—fought in some of the most ferocious battles of the war. 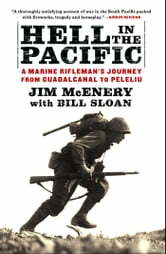 In searing detail, the author takes us back to Guadalcanal, where American forces first turned the tide against the Japanese; Cape Gloucester, where 1,300 Marines were killed or wounded; and bloody Peleliu, where McEnery assumed command of the company and helped hasten the final defeat of the Japanese garrison after weeks of torturous cave-to-cave fighting. McEnery’s story is a no-holds-barred, grunt’s-eye view of the sacrifices, suffering, and raw courage of the men in the foxholes, locked in mortal combat with an implacable enemy sworn to fight to the death. From bayonet charges and hand-to-hand combat to midnight banzai attacks and the loss of close buddies, the rifle squad leader spares no details, chronicling his odyssey from boot camp through twenty-eight months of hellish combat until his eventual return home. He has given us an unforgettable portrait of men at war.